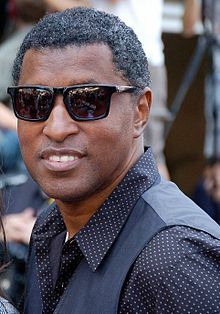 Kenneth Brian Edmonds (born April 10, 1958), known professionally as Babyface, is an American singer, songwriter and record producer. He has written and produced over 26 number-one R&B hits throughout his career, and has won 11 Grammy Awards. He was ranked number 20 on NME's 50 Of The Greatest Producers Ever list. Edmonds was born on April 10, 1958, in Indianapolis, Indiana, to Marvin and Barbara Edmonds. Barbara was a production operator at a pharmaceutical plant. Edmonds, who is the fifth of six brothers (including future After 7 band members Melvin and Kevon Edmonds, the latter of whom went on to have a modestly successful solo career), attended North Central High School in Indianapolis, and as a shy youth, wrote songs to express his emotions. When he was in eighth grade, Edmonds' father died of lung cancer, leaving his mother to raise her sons alone. At this stage, Edmonds became determined to have a career in music.